The death occurred, peacefully surrounded by his loving family, on Saturday, November 3 of Noel Hanlon, Capetown, South Africa & Longford. Predeceased by his parents, sister Maureen and brother Fr Joe. Noel will be sadly missed and remembered with love by his family sons Patrick and Robert, daughters Jennifer, Elaine, Louise, Anne, Nuala, Maria and Emma, sister Anne, brothers Oliver and Fr Francis, daughter-in-law, sons-in-law, grandchildren, brothers-in-law, sister-in-law, nieces, nephews, relatives and friends. May he rest in peace. There will be an opportunity to offer condolences to the family on Monday, November 12 at Glennon’s Funeral Home, Ballinalee Road, Longford between 6pm and 9pm, concluding with prayers at 9pm. Mass of the Resurrection at 11am on Tuesday, November 13 in St Mel’s Cathedral, Longford followed by interment of ashes in Ballymacormack Cemetery. The death occurred, peacefully, in Mullingar General Hospital on Monday, November 5 of Marcella Hunt (nee Kelly), Cluntymullen, Legan, Longford. Predeceased by her husband Peter and daughter Margaret. Deeply regretted by her sons Joe, Paddy, Pete, Brian, John, Martin, Jim, Gerard and Mick. Her sister Bridget (Piggott) and brother Bill Kelly. Grandchildren, great grandchildren, daughters-in-law, nephews, nieces, relatives neighbours and friends. Rest in Peace. Reposing at her home on Tuesday evening November 6 from 4pm until 8pm and Wednesday, November 7 from 4pm until 8pm. Funeral mass on Thursday, November 8 at 12 noon in St Mary's Church, Legan with burial afterwards in Rathaspic cemetery. House private on Thursday morning please. 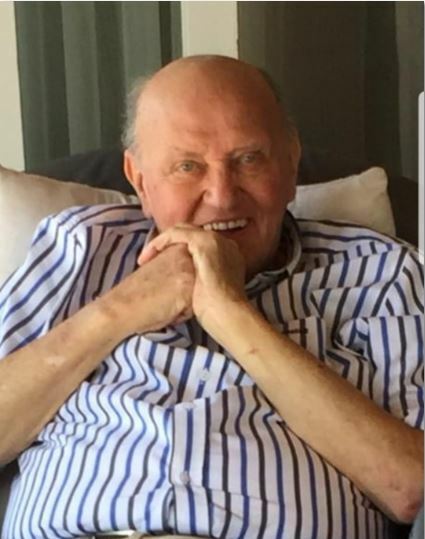 The death occurred on Sunday, November 4 of Oliver ‘Ollie’ Warnock, No 2 Annaly Park, Longford, peacefully, in the Mater Hospital, Dublin, surrounded by his loving family. Oliver will be forever missed by his wife Mamie, sons Ollie, Mick and Pauric, Mick's partner Jeni, brother Christy, brothers-in-law Hughie Clarke (Killoe) and Mike (England), sister-in-law Nora (England), nephews, nieces, neighbours and friends. The family is a circle of love, Not broken by a loss, But made stronger by the memories. Rest in peace. Reposing in his family home in Annaly Park, on Tuesday, November 6 from 11am to 8pm. Funeral Mass on Wednesday, November 7 in St Mel's Cathedral, Longford, at 11am followed with burial in Ballymacormack Cemetery. Family time on Wednesday morning, please. The death occurred, peacefully, at St Vincent’s University Hospital, Dublin, following a long illness bravely borne, on Monday November 5 of Hazel Armstrong of Balally Grove, Dundrum, Dublin 14 and formerly of Currygrane, Ballinalee, Co Longford. Beloved daughter of the late Edward and Anna Armstrong and dearly loved sister of Doug; she will be greatly missed by all her family and wide circle of friends. The death occurred on Monday, November 5 of Ursula Doran O'Reilly (nee Nathan), Glennan Beg, Aughawillan, Ballinamore, Leitrim/ Dublin, peacefully at her home. Deeply regretted by her husband Declan, children Ciarán and Shónagh, grandchildren Síog, Nathan and Déaglán, brother, sisters, relatives and friends. Ar dheis Dé go raibh a hanam. Funeral Mass in St Patrick's Church, Aughawillan on Wednesday, November 7 at 12 noon. Burial afterwards in the adjoining cemetery. House private please. Family flowers only, donations in lieu to the Irish Cancer Society. 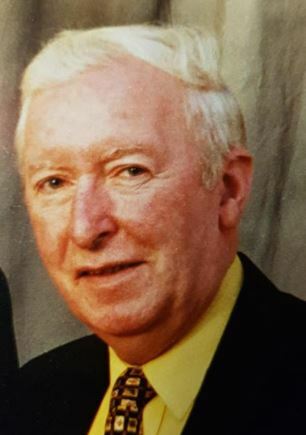 The death occurred, peacefully at home in the loving care of his family, on Monday November 5, of Charlie McCartin, Keelrin, Carrigallen, Leitrim. Beloved husband of Marian; sadly missed by his wife, sons Karl & Dermot, daughter Majella, daughter-in-law Lisa, brother Tommy, sister Bridget, sister-in-law, brother-in-law, nephews, nieces, relatives, neighbours and a wide circle of friends. Rest In Peace. Reposing at his residence on Tuesday, November 6 from 12 noon until 3pm. House private at all other times please. Removal on Tuesday, November 6 to arrive at St Mary's Church, Drumreilly at 6.30pm. Funeral Mass on Wednesday, November 7 at 12 noon with burial afterwards in the adjoining cemetery. Please note one way system in operation fallow signs from Newtowngore Village.